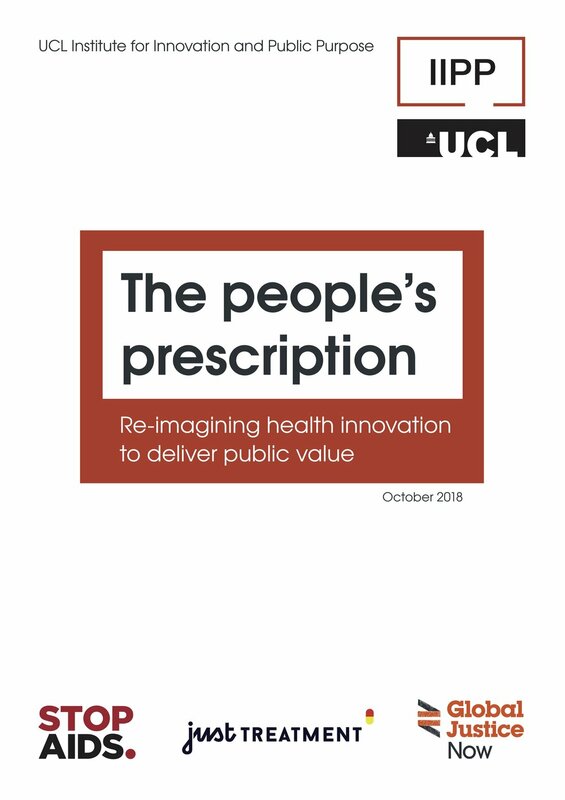 ‘The People’s Prescription’ by Professor Mariana Mazzucato from the Institute for Innovation and Public Policy at UCL, STOPAIDS, Global Justice Now and Just Treatment sets out a range of critical reforms that would deliver a medical innovation system that prioritises the needs of patients. Just Treatment believes that high drug prices and the negative impact they have on patient health and the NHS are a symptom of a deeply flawed pharmaceutical system. Our new report, a collaborative effort with economic, health and trade policy experts, clearly lays out the broad range of weaknesses of the current model blighting our health care. It then goes further, setting out short term and urgent actions governments should take to address the worst consequences of today’s system. But the most ambitious section of the report argues for the implementation of policy steps that would transform how we organise, reward and ensure access to medicines. Time for Plan B on Orkambi!